Metal roofing is one of the fastest-growing sectors in both residential and commercial roofing market. This is due to the benefits that it offers, including durable protection and classic beauty. Metal roofs are also known for their energy-efficient benefits. One of the trusted roofing companies in Northwest Indiana, Rogers Roofing, discusses the technology behind its energy efficiency. We’ll start by defining cool pigment technology. What is cool pigment technology? The U.S. Department of Energy has awarded a coating manufacturer for developing a new pigment technology for metal roofing. According to Lawrence Berkeley National Laboratory Environmental Energy Technologies Division, this cool pigment technology is a “more advanced class of dark-colored pigments that can convert a portion of visible light energy to NIR, which is radiated away” by homes or buildings. This pigment can achieve higher values for solar reflectance compared to standard ones. How do these cool pigments work? These pigments work by absorbing and reflecting various components of the sun’s light energy based on their chemistry. These selectively absorb visible light and then reflect it on what appears to be color in the human eyes. 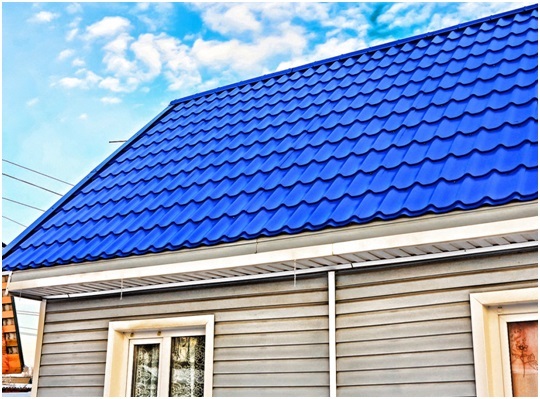 A metal roof uses inorganic pigments or Complex Inorganic Color Pigments (CICP), which has low infrared absorption. This means that this coating cools down the roof structure. Where should you get an energy-efficient roof? If you’re looking for a contractor to install an energy-efficient roof in your home, turn to Rogers Roofing. We are a Certified Gerard® Stone Coated Steel Roof Installer, so we can provide roofs that offer all the benefits of a metal type and more. Our Gerard panels are made of structural-grade steel coat with acrylic base coat. We then embed ceramic earth-stone granules and apply a clear over-glaze. This means that the roof that we install is durable, long lasting, fade-resistant, and energy saving. Do these features appeal to you? When it comes to roofing, Schererville, IN, homeowners trust Rogers Roofing and our recommendations. We install asphalt shingles and concrete tiles that are designed for extreme conditions. Our experienced installers are here to guide you every step of the way. We will make your roof replacement project a remarkable experience. Call us at (219) 228-8210 for more information on our products and services.